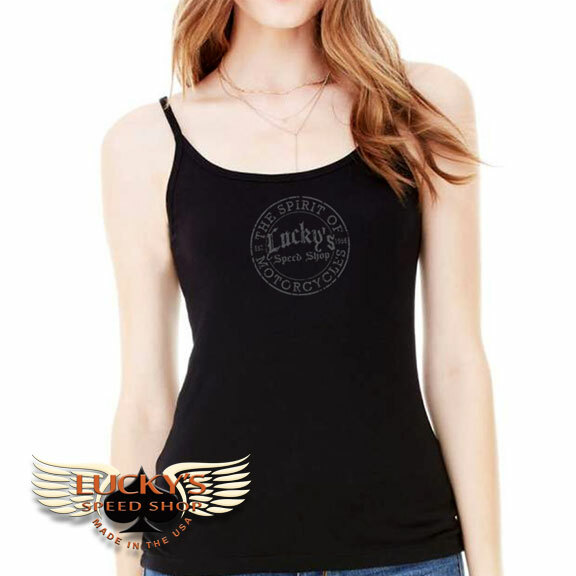 We’ve direct to garment printed the Lucky’s Speed Shop Spirit of Motorcycles logo on the front of a Bella Women’s Baby Rib Spaghetti Strap Tank. Shirt features 100% combed and ring-spun cotton, 30 single, 5.8 ounce 1×1 baby rib knit. Side-seamed. Slim fit. These are high quality, first line shirts. We do not sell seconds or graded shirts. Available in sizes S-XL. 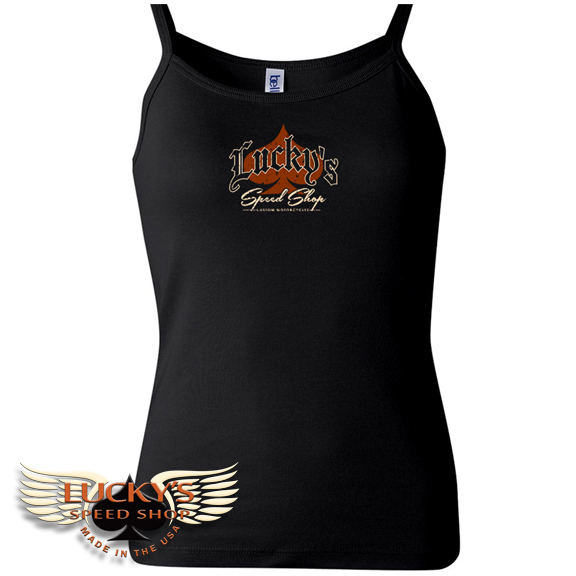 The high quality and comfort you’ve come to expect from Lucky’s Speed Shop.